No Rumson driver wants to feel cramped when they’re on the road, and when you’re in the Jaguar XJ cabin, you will have room to breathe. This model comes with a panoramic roof that creates an open feel inside this luxury vehicle, which gives you and your passengers more desire to hit the road. In the backseat, your passengers will have access to more than three feet of legroom, so everyone can spread out and stay comfortable for the duration of the trip. No Jaguar XJ is designed without luxury and quality materials. Every model features quilted seat styling, so you and all your passengers can ride in complete luxury. In addition, you’ll be surrounded by fine veneer finishes and delectable touches, proving this model makes a name for itself. To make this vehicle stand out even more, you have the ability to completely customize the interior of your Jaguar XJ, so you can have a model that nobody else in the Colts Neck area has. No matter where you turn your head, you’ll be amazed at the amount of detail that’s found through the Jaguar XJ interior. For starters, you’ll quickly notice that all headrests are embossed with the Jaguar mascot, ensuring that everyone knows they’re riding through Holmdel in style. In addition, every seat includes twin-needle stitching, which adds a nice layer to the traditional seating found in Jaguar models. When you notice all the craftsmanship that went into creating this vehicle, you’ll love the end result. The 2017 Jaguar XJ has made a name for itself in terms of interior features and luxury. 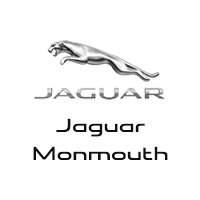 When you want to explore this model for yourself, visit Jaguar Monmouth, located at 807 NJ-35 in Ocean, NJ, or contact us online or by calling (877) 672-8680 to start an application.